A OCD-Tested Hearthfire supplies solution! No, not just another one. 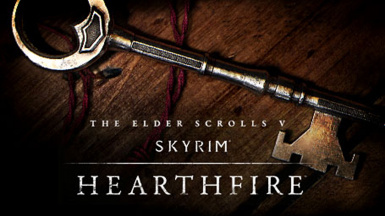 I spent two full days on coming up with the best solution for getting all of those Hearthfire supplies you need. This is the only mod you'll need and is designed to be as minimally impacting as possible! Only 1 container entry and 1 item entry was edited. Sawn logs have a inventory icon. Sawn Logs have a small value. (No weight, realistically those suckers would 200+ lbs) They are sell-able just pretend they are laying out in your yard. Each Hearthfire home, when enabled has the materials in the building chest to build any of the options. Tested for hours with every combination possible. You'll have left overs of course but not many. 5,000 gold to reimburse the house costs. No placed items, land edits or anything new (like chests) placed anywhere. With Wyre Bash this merges and can be disabled. No longer will there be god's chests with 500 of each item. No longer will you still have to go get Sawn Logs. No left over chests laying around. No bat file to remember to type in. No wasted .esp slot with a merged patch. Gankaku - Oh! Just discovered this. 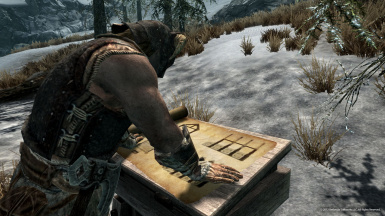 Currently using that cheat chest mod to build. It's okay but there are way too many items so you either take out one or a ton. Kinda ridiculous. And you have to run around for sawn logs. I think I'll try this one instead. I want just enough stuff to finish the house. EDIT: I did try it today and I like this better than the cheat chest. You're only left over with some items. It's so easy to take out the amount you want. Sawn logs - thank you. DuosAngel - Thank you thank you thank you! 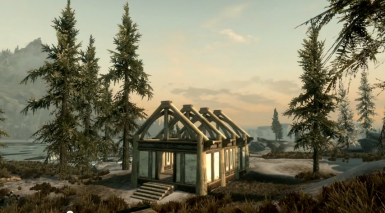 I prefer to live in Solitude in most of my games, but enjoy using the homesteads as housing for my housecarls. Being able to give them nice homes without going through the hassle of gathering all the items is great! The simplicity of the mod is the best part. I used Hearthfire Materials Warehouse before and while it worked great it was more than I really needed.